Tigre reo. animale del. adam vecchio. 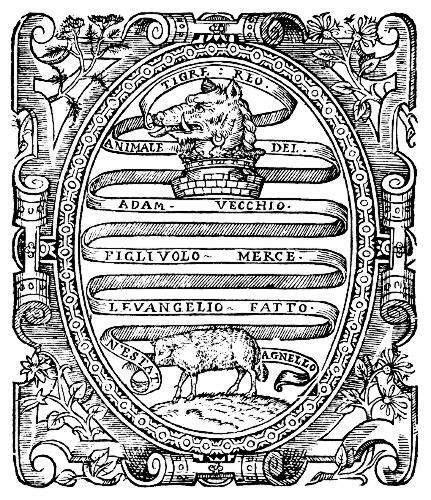 figlivolo merce. levangelio fatto. 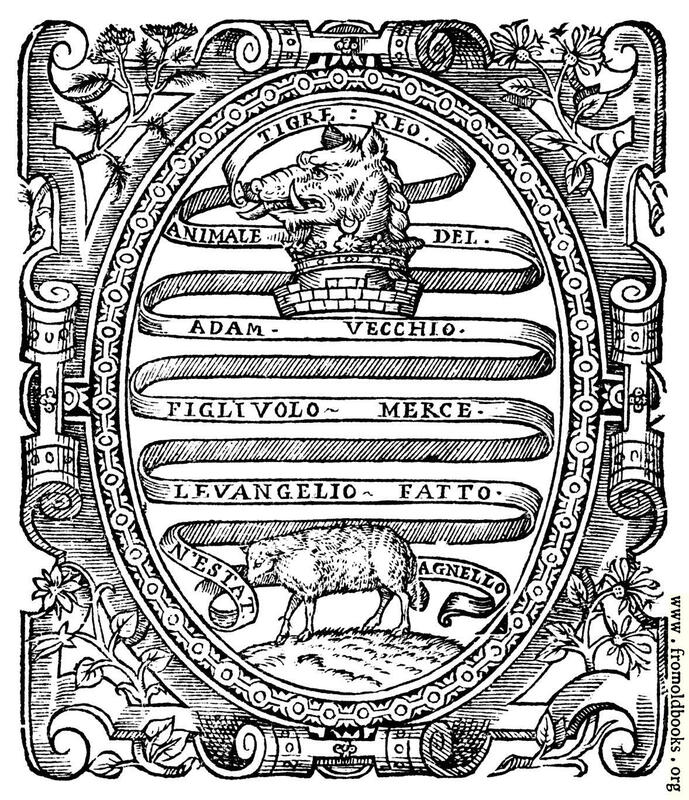 n’estat agnello. 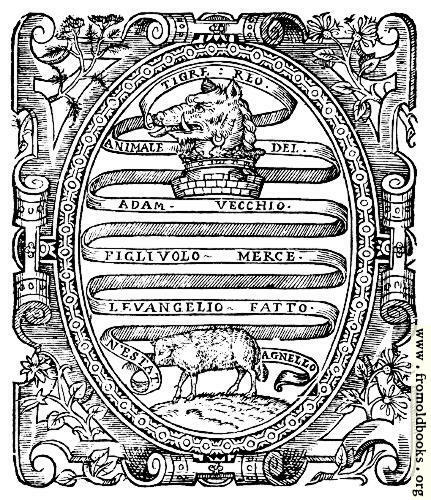 This is the device of Christopher Barker, and a rough translation might be The tiger, wicked creature of the old Adam, by the Gospel made a son, is made a lamb. 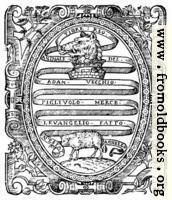 There is a separate image of the ornate frame.